Wildfire activity has increased worldwide in terms of frequency, severity, and acreage burned. In the United States, the number of acres burned as a result of wildfires has actually doubled since 1960 and each year the fire seasons grow longer, more severe and more extensive. 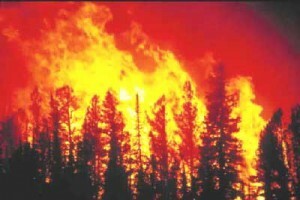 Whether this increase is the result of climate change (increasing temperature, decreasing precipitation, wind, humidity, and/or lightning strikes), increasingly plentiful fuel for fires, and/or increasing urbanization of “wild” places, the result equals more fires, more often, with increasing claims and potential insurance coverage payments. While there may be some dispute as to the issue of the extent of damage when a structure has been visually impacted by fire, this question becomes monumentally more difficult when allegations of impact are made and no damage is visible. It then becomes inherent upon the adjuster to evaluate issues such as proximity and timing as well as to eliminate all other possible sources of combustion. Evaluating a structure closer to the time of the “fire event” will generally show a greater concentration of particles from the event. The longer the period since the wildfire at issue, the greater the likelihood the particles may have moved through the system and may have been diluted with newer particles added to the stream. In addition, time will also directly affect proximity resulting in particles from the wildfire being transported over greater distances the longer the time since the fire’s occurrence. All wildfires will also carry a distinct signature composed of an assemblage of particles which are characteristic of the particular fire at issue very much like the DNA in a fingerprint. To constitute an “assemblage,” the particles must have commonality of source, place, time chemistry, process, and type. Matching the assemblage of particles with the wildfires distinct DNA can help validate impact and can assist in ruling out other combustion impacts unrelated to the wildfire at issue. The matching process involves examination of the particle type, shape, relation to other particles, relation to the environment, and relation to the fire. Utilizing a standard consisting of “the presence of char, soot, and/or ash” (or a percentage value of each) may prove to be a very misleading and incorrect basis upon which to make a determination of wildfire impact. The reason for this is that a finding of soot, char or ash does not necessarily equate to wildfire impact as all structures are impacted by a myriad of combustion sources (vehicle exhaust, fireplaces, house fires, yard burning, pellet stoves, power plants, incandescent light bulbs, baseboard electric heat, oil furnaces, natural gas fireplaces, cigarette/other smoking, candle burning, incense burning, toast burning, etc.) which may produce soot, char, and/or ash but are probably not related to the wildfire at issue. Similarly, the presence of black particles are usually presumed to be a result of the wildfire but may actually be nothing more than tire wear, insect particles, mold, ink toner, pencil lead, or a variety of other non-wildfire related common sources of indoor pollution. In addition, using a set percentage of particle composition may be difficult to prove scientifically especially if the laboratory analyzing the sample is using visual area estimation (VAE) to arrive at the specific quantification. The reason for this is that visual quantification accuracy is suspect at detection limits of 5% or less. 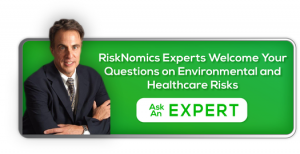 To date there are no established standards or guidelines with respect to particle identification and/or wildfire impact which makes it problematic for all insurance companies supportive of paying verifiable and valid claims. Therefore, it is important that careful review is performed of any laboratory analysis data that is submitted and this data should clearly state whether or not wildfire impact has been detected based upon the presence of the clearly defined wildfire signature. The mere recitation that a certain percentage of char, soot, and/or ash was present is NOT sufficient to substantiate a wildfire impact claim as clearly many airborne pollutants (other than wildfire) could be responsible for that result. Unfortunately, it appears that all too often insurance companies have relied upon utilizing the presence of char, soot, and/or ash as the insurable standard and this has resulted in both the underpayment and overpayment of claims.